As summer draws to a close and fall approaches, it’s time for a new real estate season! 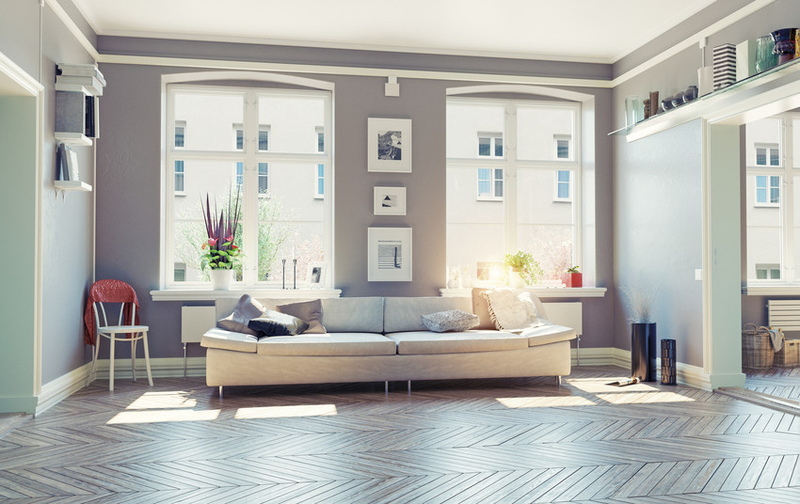 Whether you’re a first time real estate investor, or a seasoned pro, it’s important to make sure you’re up to date on current market conditions. Luckily, I published a market report that does just that. If you haven’t had a chance to read it over, here’s a quick recap. In Hoboken, the average sales value is $862,445, a 1.63% decrease over this time last year. In Jersey City, the average sales value for August was $869,170, a 1% decrease from last August. For an up-close look at the Hudson County real estate market, you should browse the following top sold listings for the area. How does your home compare to Hudson County’s most expensive sold listings? breakfast bar. Wide plank white oak hardwood floors, Porcelanosa Tile, 2 zone HVAC w/NEST thermostats, LED lighting, Sonos built­in speakers and smart­home video intercom, back­up generator. Conveniently located near parking, parks, schools & NYC transportation. line kitchen with Jenn air appliances, Italian Pedini cabinets and Quartz countertops. Enjoy one of the most spectacular unobstructed views of the NYC skyline from your own private balcony. Crystal Point offers state of the art amenities such as a 24 hour doorman, fitness centre, crystal spa, play room, residents’ lounge, screening room and much more. One valet parking spot included. Blocks away from Newport and Exchange place PATH. Just steps away from the NY Waterway Ferry Terminal offering a stress­ free 8 min. ride to Midtown Manhattan as well as routes to Pier 11 at Wall St. and World Financial Center. Redefining modern luxury and style, with upscale interior finishes, private balconies and terraces maximizing majestic NYC views. Exceptional amenity package! Avora features a spectacular lobby with 24 hour concierge, grand salon, private screening theater, business center, boardroom, Avora lounge with bar, private dining and catering kitchen, pet spa, and state of the art strength and cardio fitness center. Landscaped outdoor plaza including a pool, spacious sun deck, lounges, grilling areas and fire pits..
Miraculous Harbor Place­”Commander Grand”­ corner residence. This was the Model Home and elegance abounds on every level!! World class NYC views!! Marble steps and granite flooring in foyer. The excitement begins on the ground level with a spacious family room/bedroom that leads to a large patio. Wet bar with refrigerator. Custom built­ins. Custom fireplace. Private elevator. Designer kitchen boasts Cellini cabinetry and granite counters with tumbled marble back splash. Open living/dining area leads to a fabulous wrap-­around balcony. Master suite boasts an enlarged deck, His and Hers California Closets and sitting area. Sumptuous master bath with polished marble, high end fixtures, large custom shower and Jacuzzi tub. Loft area with bedroom and bath. Parking for four cars; two inside and two in driveway. Beautiful 2 bedroom 2 bath at Park City Grand. Chef’s Kitchen with Stainless Steel appliances, breakfast bar, Master Suite has generous walk­-in­ closet, bedrooms on opposite sides for privacy. Home features welcoming open layout, beautiful hardwood floors throughout and terrace. 1 Car Garage Parking included washer/dryer in the building. Close to shops, restaurants, and NYC transportation. Located on Park Avenue, across the street from Weehawken Township, and 2 blocks west of the prestigious Boulevard East, with its host of parks, bicycle paths and walkways overlooking the Hudson River and the Manhattan skyline. Spacious and unique upgraded home at prestigious Hudson Pointe offers a large private patio space, large galley kitchen with granite counters, custom cabinets stainless appliance upgraded bathrooms and a separate dining area.Home is perfect for entertaining offering an open floor plan which is all usable space. Ample closet space accommodates plenty of storage. Home has been meticulously maintained. Convenience, luxury and location is what this residence is all about! Stylish end unit Bergen on a private, quiet cul de sac. Lovely open floor plan leading to back patio via glass sliders on the main floor make this home ideal for entertaining and pet friendly. Hardwood floors. Wainscoting, custom painted, custom lighting. Custom drapes on sliding glass doors. Kitchen boasts granite counters, custom back splash and stainless steel appliances. Marble tile in half bath. California closets. Goodman HVAC Unit and condenser installed in 2017. AO Smith hot water heater installed in 2017. Parking for two cars. Attached garage:­ one car in and one car in driveway. Sought after community features two pools with jacuzzis, kiddy pool, tot lot, waterfront promenade and free shuttle to NY Waterways Ferry and light rail. 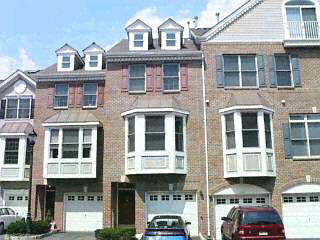 Impeccable 3BR/2.5 FBR condo with many updates. Gleaming hardwood floors, recessed lighting and new doors throughout. Updated kitchen with granite counter­s and Island overlooking family room. Front door opens to foyer, coat closet, sunken living room with Granite Gas Fireplace, walk-­out terrace (to BBQ or to entertain your guests overlooking water view), powder room and dining room. Harmon Cove is a beautiful community with many amenities including 24hr security, pool area with clubhouse w/kitchen/bar, play area, basketball/tennis courts and marina, to name a few. Easy NYC commute w/transportation on site. 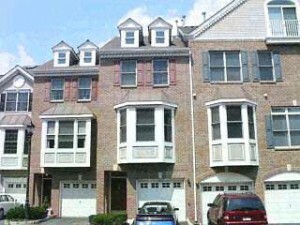 This Luxury Townhome has an open living and dining area with hardwood floors. The kitchen has 2 pantries, granite counter tops and stainless steel appliances. The master bedroom has a walk in closet, a master bath with separate shower and soaking tub. There is a second bedroom, which has plenty of sunshine, This unit also has a large den with a patio. Plus a 1 car garage, laundry space and walking distance to the light rail. Amenities include a swimming pool, cabana, recreational facility, public waterfront walkway, and a Boatworks Marina leases boat slips to the public. The BOATWORKS Marina has gated gangways, restrooms and a changing area with showers. floor includes; 2.5 car garage, finished rec room & utility/IT room. Finishings include; Bellmont kitchen cabinets, Quartz counters, Jenn Aire stainless steel appliances, 5″ Oak hardwood floors, Nichiha, Cedar & true Stucco exterior, paver stone driveway with 2 car parking, LED lighting w/full Smart home tech throughout. Thinking of selling your Hudson County condo? My team and I can help you earn top dollar for your condo. Our expertise includes selling luxury condominiums throughout the Hudson County area. 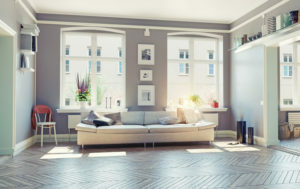 On our site, you can find a number of custom-tailored resources, up-to-date sales data for condo buildings throughout the communities here, as well as a form to request a complimentary market analysis for your home. Get in touch with us today to take your first step towards a top-dollar sale. List your property with the Living on the Hudson Team.